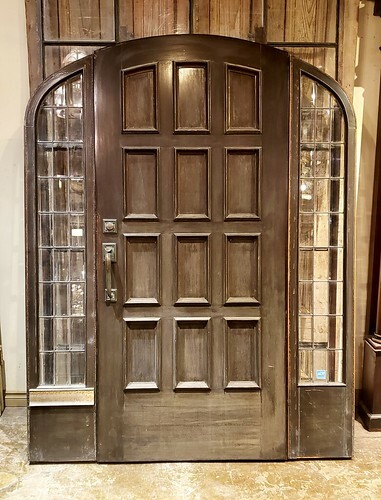 After forty years of salvaging architectural artefacts, there’s very little that hasn’t passed through our store – we’ve seen literally hundreds of thousands of doors, stained glass windows and mantels. Then there were all the one-of-a-kind pieces: Gordon Lightfoot’s child-sized log cabin, the ornate bronze and glass vestibule from Toronto General Hospital, the doors from Upper Canada College that had decades’ worth of students’ secret notes tucked behind a removable plate in the hardware. We never know what will come through our doors next, but every piece has its own story. Our vast and varied stock is constantly changing; we try to keep our photo galleries accurate and up-to-date , but there will always be more in our store. Please contact us if you are looking for something specific. 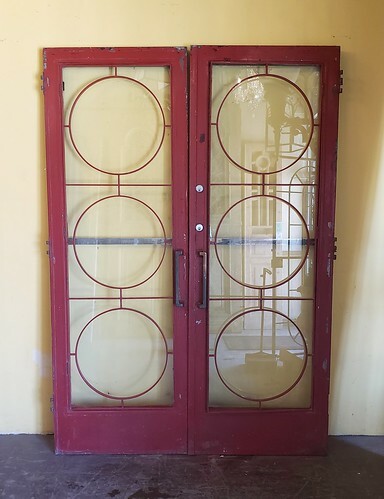 It all started with doors, and we still have a fantastic selection – from interior paneled doors and French doors to double doors and front doors, they’re all sorted and racked. 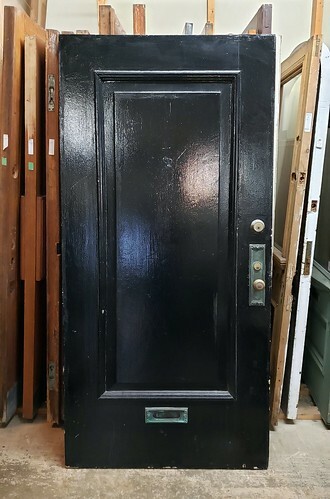 We also have a beautiful collection of very special and unusual doors, perfect for all sorts of unique applications including wine cellars, headboards and large loft spaces. 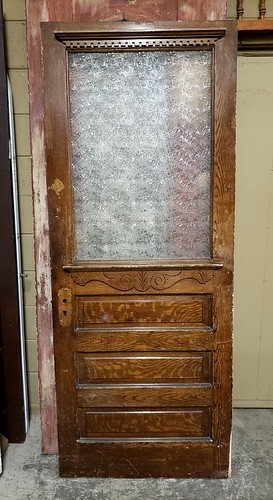 All of our doors are sold as is, but we are happy to refer you to refinishers, carpenters and installers if necessary. Fireplaces have long been considered the heart of the home – a place to gather with friends and family over the holidays and throughout the year. Most of our clients are after a mantel for their living room fireplace, but we’re noticing an increasing number of people using our mantels as a faux piece to bring balance and a focal point to a hearth-less condo space. At The Door Store we have over a hundred antique wooden and marble mantles in stock at any time as well as cast iron fireboxes and accessories so regardless of application, we’re sure to have what you’re looking for. 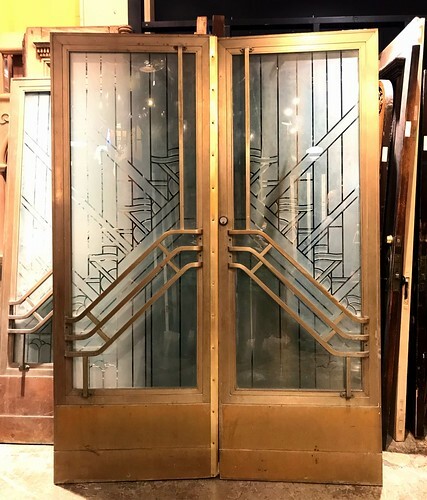 In addition to ever-popular leaded and beveled glass windows, stained glass has recently enjoyed a big comeback as people try to restore some of the charm that has been stripped from their period homes. As transoms over doors, for those awkward windows that are too close to your neighbours, for interior use between two rooms or just hanging in the kitchen window, stained glass is prized for its ability to transmit light and maintain privacy. 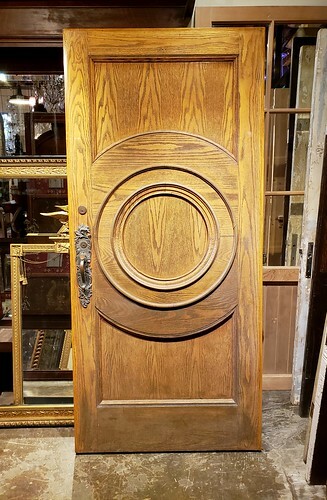 We have a constantly changing and eclectic assortment of interesting pieces such as Victorian carved corbels, French trumeau mirrors, eclectic furniture pieces, antique ice boxes, newel posts, vintage clocks, country shutters, and many more decorative accent pieces that defy classification! These items are always changing and are worth giving yourself a little extra time for browsing when you come to visit.